On April 25, 2018, Drive Smart Georgia and Alan Brown joined forces to talk about Joshua’s Law and the dire need to take driver education seriously. 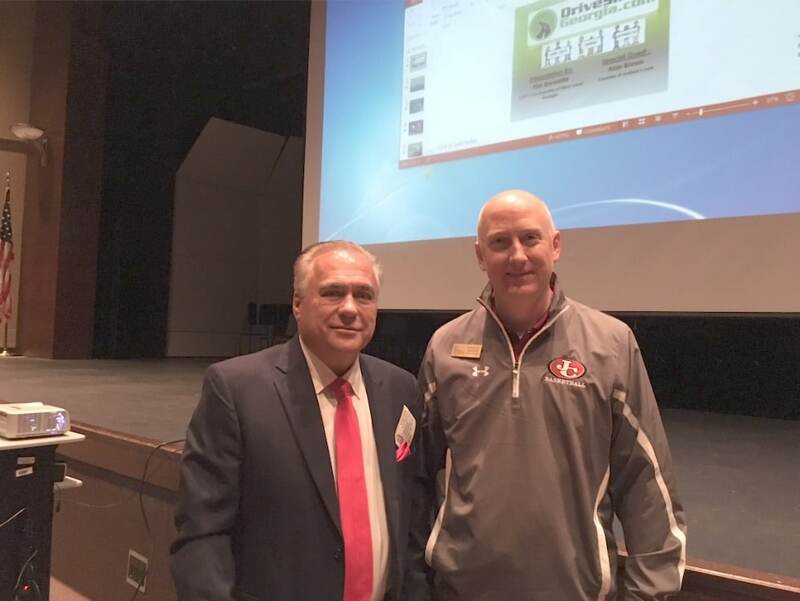 Overall, about 400 Johns Creek High School students listened attentively and reacted positively. 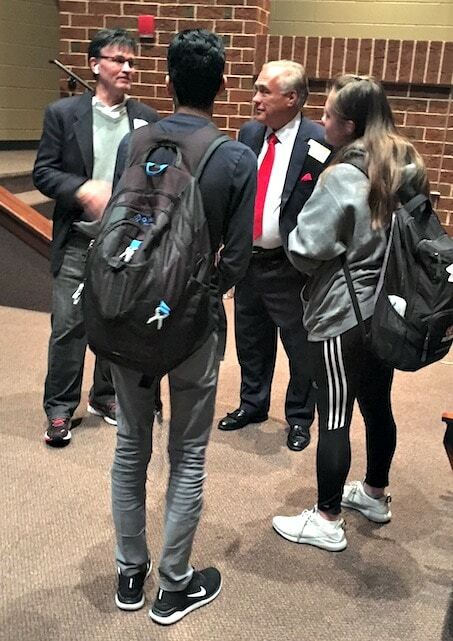 Kirk, Bressette, CEO and Co-Founder of Drive Smart Georgia, opened each of three sessions at JCHS by welcoming the students. He then explained that he lost his son four years ago, so he knows the excruciating pain of losing a child. “Don’t do that to your own parents,” he added emotionally. 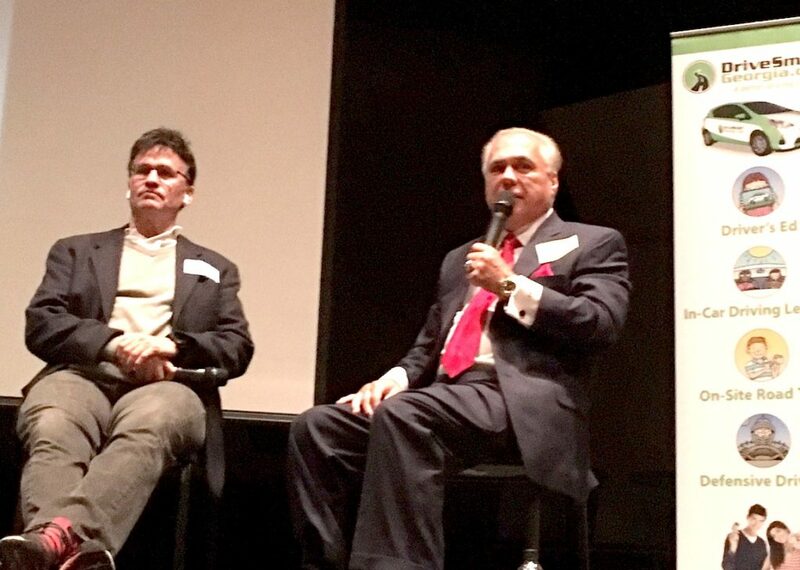 Mr. Bressette then introduced Alan Brown by describing him as an entrepreneur and highly successful businessman. More importantly, he passed Joshua’s Law after his own son passed away after a fatal car crash in 2003. Joshua Robert Brown, a 17-year-old from Cartersville, GA., was an overachieving teen who loved football and baseball. Because of his musical talent, he was accepted into a prestigious music school in Boston, where he planned to attend after his high school graduation. However, Joshua’s life ended way too early in 2003. On July 1, he was driving on a two-lane highway in the rain when his truck hit a puddle of water, hydroplaned, and crashed into a tree. Severely injured, the teen fought to stay alive for nine days, but passed away on July 9. However, Mr. Brown made the difficult decision to turn his grief, guilt and emptiness into a personal crusade after hearing “the voice of God in my sleep.” He then proceeded to write the entire law that night and finished it in the very wee hours of the morning. He presented the bill to his state senator, who said it was the best piece of legislation that he had ever seen. Within one year of their only son’s death, Alan and LuGina Brown organized the Joshua Brown Foundation to ensure that every teen had the opportunity to learn driving skills that could save their lives. The foundation raised $250,000 to provide driving simulators and training to Joshua’s former high school. 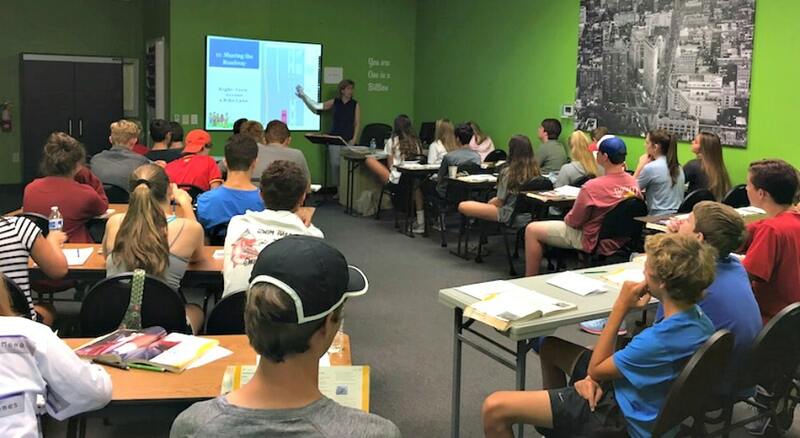 It also developed a technologically advanced program to provide driver education for every teen and crusaded to pass Joshua’s Law in the state of Georgia. In 2005, Senate Bill 226, also known as Joshua’s Law, passed with an overwhelming majority of 87% in the Georgia House and Senate. The bill was considered the most important piece of legislation passed in many years. The tighter teen driver requirements of Joshua’s Law went into effect on January 1, 2007. Since then, Mr. Brown has helped pass similar laws in 13 other states and three national teen driving bills. He worked actively with the Centers for Disease Control and the Academy of Science and Medicine to help promote teen driver safety. In addition, he worked with the US Congress to pass a bill that requires automakers to install Electronic Stability Control systems in every car made after 2011. This particular law saves approximately 15,000 lives every year. To watch a video of Alan Brown talking about Joshua’s Law, click here. He added that Drive Smart Georgia is the ONLY driving school that he endorses. 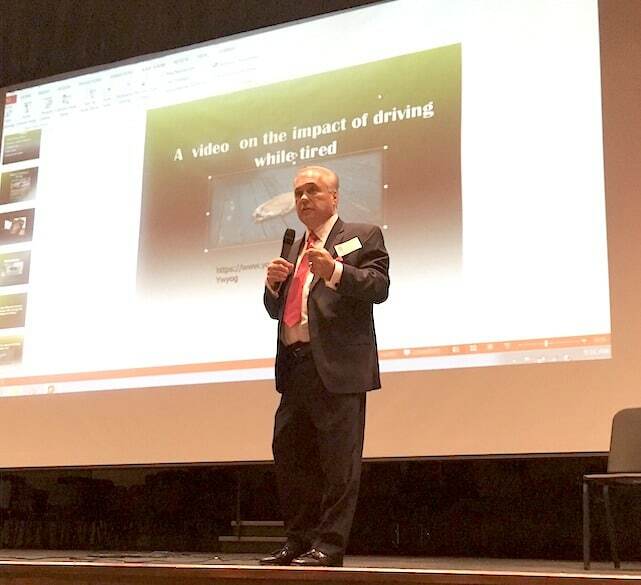 Between personal appeals from Mr. Brown, Drive Smart Georgia played videos about the dangers of texting and driving, what to do if your vehicle hydroplanes, and the dangers of driving while drowsy. At the end of each 55-minute session, students asked Mr. Brown questions. Two female students at Johns Creek High School said that the program made a lasting impression on them. It was emotional and made me think how my parents would feel if something happened to me. I would rather know what to do before something bad happens. I was impressed when Mr. Brown talked about his son. I felt like I was there. The Alan Brown event was an excellent experience for our students here at Johns Creek. The emotional impact on these teenagers as they are just now starting to drive will stick with them for years to come, and will help them to make wiser and safer decisions as drivers. I highly recommend this program for all young drivers! Since the passage of Joshua’s Law, teen driver deaths are down by a whopping 60% in Georgia alone. 181 young lives are saved every year in our state. Nationwide, Joshua’s Law saves 22,000 young lives annually. Drive Smart Georgia offers three Drivers Ed packages that meet Joshua’s Law requirements in the state of Georgia. The signature, high-energy program is geared specifically towards teaching new teen drivers lifelong good driving schools. While in-class Drivers Ed programs might seem expensive, they can actually pay for themselves. The state of Georgia offers a $150 tax credit for approved Drivers Ed programs. In addition, insurance companies offer 10-15% annual insurance savings. When added together, the best Drivers Ed classroom program might actually cost $50 or less in the long run. Georgia DDS recently designated Drive Smart Georgia as an authorized provider of free Drivers Ed to qualified families. Georgia residents aged 15-17 can apply for the Georgia Driver’s Education Grant Scholarship. The free Drivers Ed program satisfies all Joshua’s Law requirements. Furthermore, all grant recipients can take the program with NO out-of-pocket cost. Check out this blog post from Drive Smart Georgia for a step-by-step guide on how to apply for a free Drivers Ed program that satisfies Joshua’s Law requirements.. The grant scholarship program includes thirty hours of free classroom instruction and six free hours of behind-the-wheel driving instruction with an approved instructor. 1st priority: Children or dependents of a public safety professionals or members of the United States military killed in the line of duty will receive first priority. 2nd priority: Students who demonstrate a need based on family income will receive second priority. 3rd priority: All applicants who do not meet the criteria set forth in the first and second priority groups will be third priority. Grant scholarship allocations are evenly distributed among Georgia’s United States congressional districts. Under Joshua’s Law, to get a Class D driver’s license at the age of 16, new drivers must do the following. Hold an instructional permit for at least one year and one day. Complete a certified 30-hour driver education course that is approved by the Georgia Department of Driver Services. Head to the Georgia DDS website for a list of certified driving schools, like Drive Smart Georgia. Complete a cumulative total of at least 40 hours of supervised driving experience, which must include at least six hours of nighttime driving. Applicants must pass the road skills test with a minimum score of 75%. A parent or guardian must be present.